Two-time Academy Award-winning actress Vivien Leigh is one of the most revered female movie stars of all time. 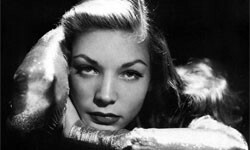 Born Vivien Mary Hartley on November 5th, 1913 in Darjeeling, British India, the British actress received convent education in England and throughout Europe before enrolling at the Royal Academy of Dramatic Art in London in 1932, inspired by her former schoolmate and MGM actress Maureen O Sullivan, who at that time portrayed Jane in the first film of the ”Tarzan” series. That same year, Vivien married Herbert Leigh Holman and adopted ”Leigh” as her professional name. After a few minor roles in British films, she achieved the movie star status with her role of the attractive yet light-headed ”Cynthia” in the 1937 British historical drama Fire Over England, produced by Sir Alexander Korda and co-starring her future husband, British stage and film actor Sir Laurence Olivier. This outstanding performance captured the attention of the famous film studio executive David O. Selznick, who at that time was also the producer of the epic film that was going to become the most successful film in box-office history (grossing around $3.3 billion when adjusted for inflation), the iconic and all-time classic Gone With The Wind, directed by Victor Fleming (initially, the director was George Cukor, but he was dismissed during the production of the film). Throughout her fruitful and triumphant acting career spanning 35 years Vivien Leigh has been equally recognized for her on-screen flawless interpretations of complex characters and her on-stage pathos-filled performances that ranged from tragic characters such as Juliet, Lady MacBeth, Cleopatra in William Shakespeare’s classic plays to comedy characters in George Bernard Shaw’s and Noel Coward’s plays. 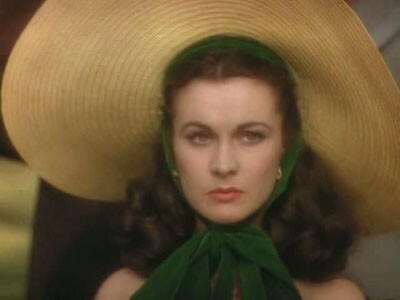 Despite her theater background, her conspicuous British accent and the fact that she believed her beauty thwarted her from being taken seriously as an actress, the legendary actress secured her motion picture immortality by portraying, against all odds, two of the most celebrated Southern belles in American literature – Scarlett O'Hara and Blanche DuBois, the apotheosis of her career. Casting for the 1939 film adaptation of the Civil War and Reconstruction-era production of Gone With the Wind created quite a mad rush in Hollywood, especially for the role of Scarlett O'Hara, the headstrong, tempestuous heroine of Margaret Mitchell's novel. Selected from a pool of more than 1.400 actresses, including some of the Hollywood’s most famous stars at that time such as Bette Davis, Katherine Hepburn and Joan Crawford, Vivien Leigh was cast in the role of the free-spirited, hard-headed yet unexpectedly resourceful Georgia belle Scarlett O'Hara in the 1939 film adaptation of Margaret Mitchell’s Pulitzer Prize-winning literary masterpiece Gone With The Wind. 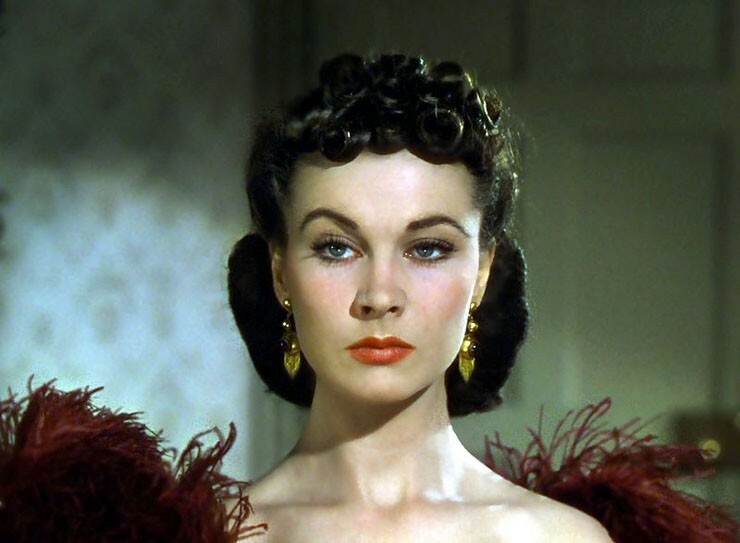 Her inspirational and exceedingly generous interpretation of Scarlett O'Hara garnered many industry accolades and to this day, her name is intimately connected to the epitome of the Southern belle, to the point of becoming synonymous with the eccentric, narcissistic yet resilient and intense character of Scarlett O'Hara. Romantic scene in Waterloo Bridge. In August 1940, Leigh married Olivier (Katharine Hepburn was her maid of honor) and portrayed Myra Lester in her first film after the unprecedented success of Gone With the Wind the 1940 romantic film Waterloo Bridge, directed by Mervyn LeRoy and co-starring Robert Taylor. Taking place in England, it is a tearful story of a passionate relationship that always seem to be shattered by circumstances. Waterloo Bridge remained her personal favorite of all the films she appeared in. The iconic actress passed away at the age of 53, on July 8th, 1967 in her London apartment, due to respiratory failure associated with tuberculosis. Vivien Leigh was survived by Sir Laurence Olivier (whom she divorced in 1960) and her daughter Suzanne with her first husband.